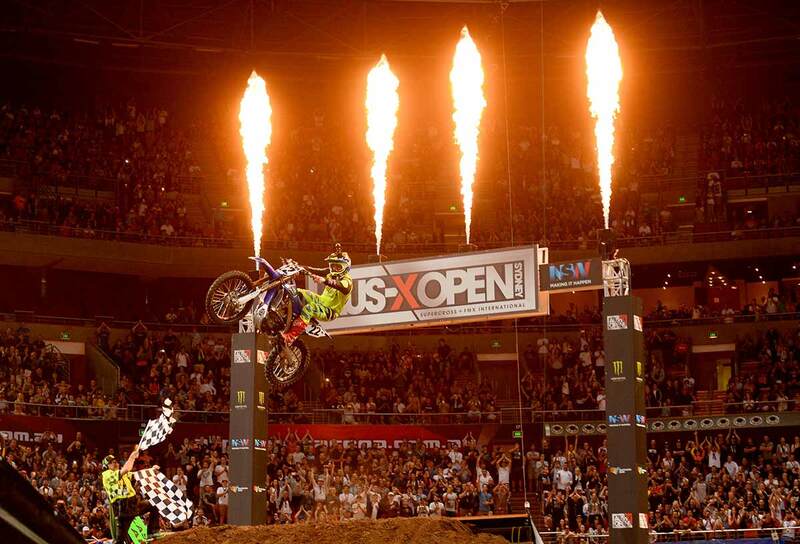 Following the announcement that Australia’s most successful supercross racer, Chad Reed, will compete at the second AUS-X Open event in 2016, Reed has praised the Qudos Bank Arena venue, labelling it as “the ultimate race in Australia”. Despite competing in various venues worldwide, Reed expressed his fondness for the Sydney-based arena, as the tight confines give spectators the ultimate viewing experience, along with incredible supercross racing. “For me, the ultimate race in Australia is in (Qudos Bank Arena) that arena,” commented Reed. “I think that the track and the arena just provide excitement. And even from my point of view, I’ve been all over the world and been fortunate enough to ride in a lot of different stadiums that are considered ‘amazing’. You go to the one in Dallas; it’s a $1.3 billion dollar stadium, and it’s just this massive stadium with dirt in it. It’s just boring. Where you go to Sydney and it’s tight, you just never know what’s going to happen. Reed also labels the viewing experience for spectators as something that’s unseen around the globe, with spectators within metres of the action. “At the AUS-X Open, we’re right up against the walls. Any mistake at all and it’s right in front of the fans; there is absolutely nowhere to hide, which makes it such a unique event. The excitement of it, throwing elbows with the guys, trying to cut underneath and make passes, be creative, be fast but smooth. All those things, that’s what makes it fun for me!” comments Reed. Reed will compete during both days of the event, with the second AUS-X Open taking place on the 12th and 13th of November in 2016.